InfoSiftr, LLC, an Authorized Training Partner of Docker, Inc., announces two training courses on the topic of Docker Administration and Operations. The trainings are open to the public and will be held at The Innevation Center on September 11-12, 2015 and October 23-24, 2015. In addition, the SUPERNAP is a partner with InfoSiftr for this event and is providing the training space at The Innevation Center. During the first day of this event, Switch will be providing a tour of its SUPERNAP Facilities to the participants. “By partnering with the SUPERNAP, we can show students not only the best practices with Docker, but show them the best in breed solutions to use for a Docker container deployment,” said Justin Steele, President of InfoSiftr. Docker is an open platform for developers and system administrators to build, ship, and run distributed applications. With Docker, IT organizations shrink application delivery from months to minutes, frictionlessly move workloads between data centers and the cloud, and can achieve up to 20X greater efficiency in their use of computing resources. 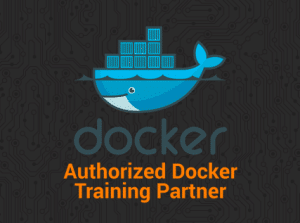 This two-day training is led by a certified Docker instructor, and is designed to help new and experienced systems administrators learn to use Docker. In the class, attendees will learn to control the Docker Daemon, Security, Docker Machine, Swarm, and Compose. InfoSiftr will have a variety of hands-on exercises designed to help the participants quickly grow from a beginner into a seasoned user. Even if they have some experience in running Docker, they will get best practices for using Docker in their organization through a series of classroom lectures, exercises, and hands on workshops. After this workshop attendees will have a solid understanding of Docker, the Docker Hub and Registry, Docker Orchestration tools, and be able to comfortably integrate Docker into development and IT environments. Participants do not need any prior knowledge of Docker, but it is helpful. Knowledge of basic Linux commands and command line interface is required. Additionally, a laptop with Linux running either as the main OS or in a virtual machine is recommended, but access to and working knowledge of an SSH client is necessary. In addition, free transportation will be provided to all participants that stay at the Silverton Hotel and Casino to and from the Innevation Center. For further information, visit Infosiftr online.